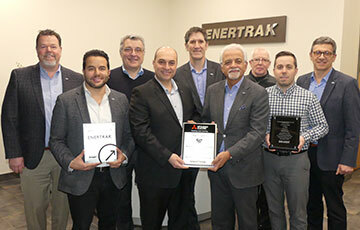 The 1st place Semper Supernus Award was presented to Enertrak at the 2019 ASHRAE Winter Conference held in Atlanta from January 14 to 16, for its outstanding performance in year over year growth, total orders, shipments, quoting pace and sales pipeline quality. In addition, the company was awarded a second prize for its remarkable performance in the emerging grow room industry with the Turbocor magnetic compressor technology. 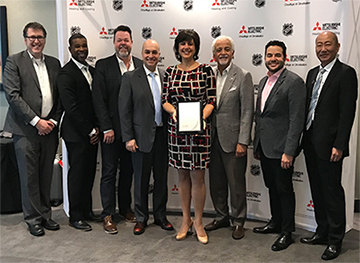 Enertrak's management team was in Toronto last May to receive a most prestigious award from Mitsubishi Electric Sales Canada's President and Vice-President for achieving the highest per capita sales by territory in the 2017 fiscal year ending March 31st. Definitely a team effort, CONGRATS to all! BRAVO to the Enertrak team! 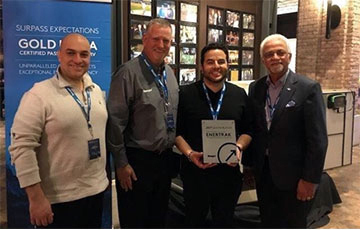 A few members of the commercial sales team from the Laval and Quebec City offices are proud to show the recognition awards given by the manufacturers Smardt, Swegon and Mitsubishi Electric for the exceptional work accomplished. Quota Buster award was presented to Enertrak at the 2018 ASHRAE Winter Conference held in Chicago by Steve Cuthbertson from Vibro-Acoustics/Swegon. 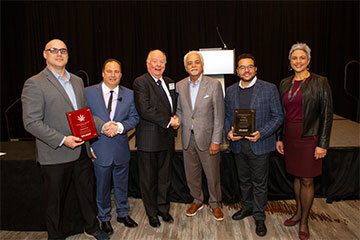 2nd place Semper Supernus Award was presented to Enertrak at the 2018 ASHRAE Winter Conference held in Chicago by Roger Richmond Smith and Vincent J. Canino from Smardt. Left to right : Roger Richmond Smith, Chairman & CEO of Smardt, Roger Nasrallah / Enertrak, Sam Trak President of Enertrak, Marc Naccache /Enertrak & Vincent J. Canino, Global Chief Operating Officer Smardt. 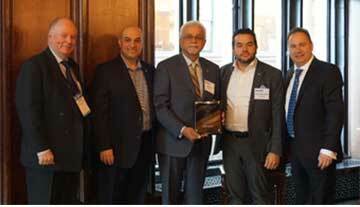 The 2nd: "CityMulti Sales Achievement Award" presented to ENERTRAK, in recognition of outstanding City Multi sales growth. 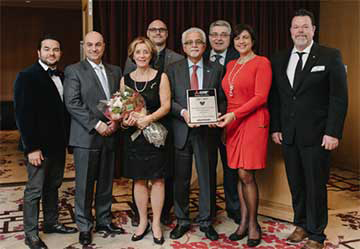 Ada & Sam Trak were also honored by Terada San, Mitsubishi Electric Sales Canada's new President, "Recognizing 30 years of pioneering partnership between ENERTRAK and MESCA”. Canada's largest trade show and conference for plumbing, HVACR, hydronics, electrical and lighting held in Montréal, on April 26, 2017. 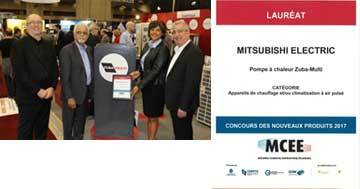 Enertrak was one of the winners of the MCEE 2017 New Product Competition for Mitsubishi Electric forced air heating and/or air conditioning products, in the Zuba-Multi heat pump category. 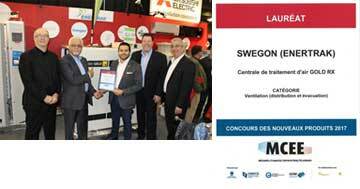 Another prize was awarded to Enertrak in the MCEE 2017 New Product Competition, in the Ventilation (distribution and evacuation) category for the Swegon GOLD RX Air handling Unit. 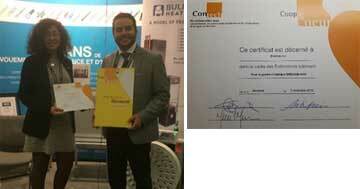 At the 32nd Contech Montreal Building Exhibition, held at the Palais des congrès on November 3 and 4, 2016 and among the 300 building and construction product companies that participated in the exhibition, Enertrak was awarded, by a jury of professionals of the Montreal area, one of the "Coups de Coeur" for the"Swegon-VAV Chilled Beam".